Healthy Fast Food: Is Fast Food Always Bad For You? With all the reports of how unhealthy fast food is, why is anybody still eating it? The reality is, it is cheap, convenient and filling. The problem is that just one fast food meal can pack enough calories, sodium and fat for an entire day or more! Eating fast food on a regular basis can lead to a variety of different health problems including obesity. A recent study from Reuters revealed that fast food companies are increasing efforts to market themselves to children and toddlers with television ads and websites geared to kids. In fact, the fast food industry spent more than $4.2 billion in 2009 on marketing and advertising! Why do companies spend so much money on child-targeted advertising? Because it works. These commercials cause our children to hunger for these unhealthy foods. And with the average child exposed to over 40,000 commercials a year, there is no wonder children crave fast food. Because of the childhood obesity epidemic, San Francisco passed a law regarding fast food. The law, which takes effect on December 1, 2011, restricts the fast food industry's practice of giving away toys with children's meals. Kid's meals must meet certain nutritional standards before they can be sold with toys. They must be less than 600 calories, contain fruits or vegetables and include beverages without excessive fat or sugar. Toys tend to lure children into buying these kid's meals so certainly this law will help. Eating fast food doesn't have be a disaster. There are ways to make healthy choices. 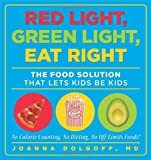 A study conducted by Yale's Rudd Center for Food Policy and Obesity looked into fast food and kids. The study states that healthy side dishes and beverages options for kids' meals are rarely offered as the default. So while the healthier choices are there, it's really up to the consumer to pay close attention while ordering. Here are a few tips to get started. The nations obesity epidemic has focused attention on fast food restaurants. And rightly so! It is not easy to eat a healthy meal at a fast food restaurant. The good news is that many chains have begun offering healthier options. But they don't help unless you actually order them. So while it's not always the ideal choice to eat at one of these chains, with some knowledge and good common sense we can stay on track towards a healthy lifestyle. Preparing before you go can make a huge difference. You can check the nutritional guide of most chains online. You would be surprised just how many calories many fast food items contain. Choices made with knowledge are always healthier.